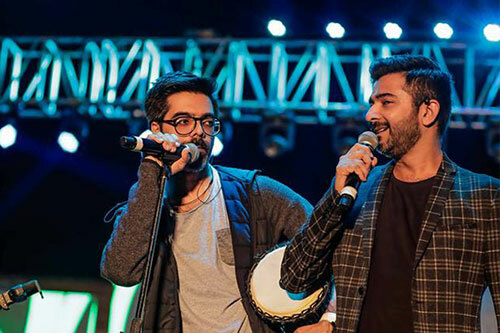 Composers Sachin-Jigar will launch new talent through their A&R (artistes and repertoire) venture called White Noise Studios. The aim is to give new talent in the music field a platform to showcase their work to film producers, broadcasters, brands and agencies. The company will charter their road map in the industry with Balaji Motion Pictures' "Veere Di Wedding", starring Kareena Kapoor Khan, Swara Bhasker, Sonam Kapoor and Shikha Talsania. "This is a 5-year-old dream finally taking shape. We are very happy that we can inject deserving undiscovered talent into the industry by marketing them well and honing their skills. "We had this on our radar but could not execute it as we had no time to manage it. The skilled team will hunt new talent from across regions under our mentorship and we will push their music into mainstream and make them sellable commercial names, as the industry is now open to this concept," Sachin Sanghavi said in a statement to IANS. Over the years, the popular composers have worked for films such as "F.A.L.T.U", "Humpty Sharma Ki Dulhania", "Badlapur", "Hindi Medium" and "A Gentleman". "We are also looking at roping in international singers who can share space with undiscovered indie talent to popularise the homegrown indie segment in Bollywood. We have begun discussions with international record labels and talent management companies," said Jigar Sarvaiya.